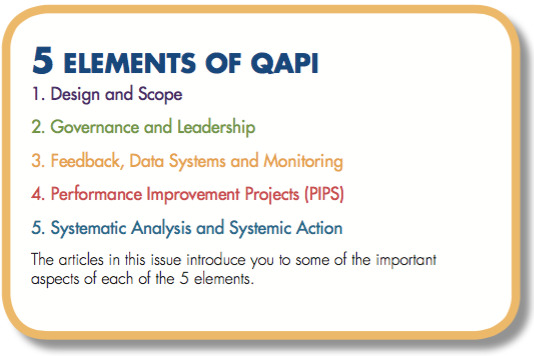 A Performance Improvement Project (PIP) is a concentrated effort on a particular problem in one area of the facility or facility wide; it involves gathering information systematically to clarify issues or problems, and intervening for improvements. The facility conducts PIPs to examine and improve care or services in areas that the facility identifies as needing attention. 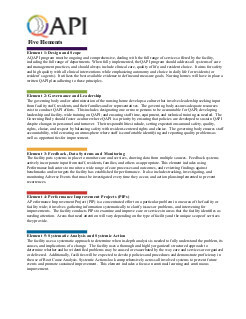 Areas that need attention will vary depending on the type of facility and the unique scope of services they provide. 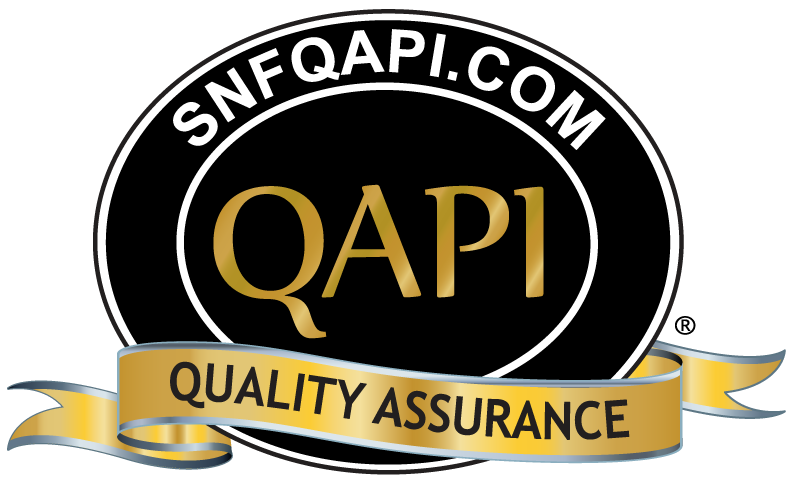 QA is a process of meeting quality standards and assuring that care reaches an acceptable level. Nursing homes typically set QA thresholds to comply with regulations. They may also create standards that go beyond regulations. QA is a reactive, retrospective effort to examine why a facility failed to meet certain standards. QA activities do improve quality, but efforts frequently end once the standard is met. PI (also called Quality Improvement - QI) is a proactive and continuous study of processes with the intent to prevent or decrease the likelihood of problems by identifying areas of opportunity and testing new approaches to fix underlying causes of persistent/systemic problems. PI in nursing homes aims to improve processes involved in health care delivery and resident quality of life. PI can make good quality even better. 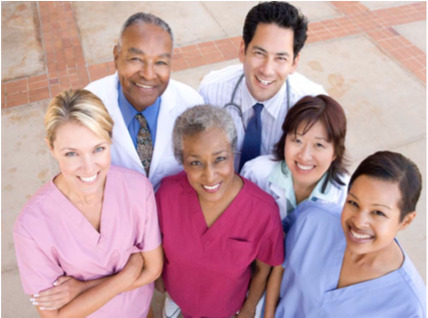 Conducting PIPs allows the nursing home to examine performance and make improvements in any area identified as needing attention, or that is found to be a high priority based on the needs of the residents. A charter is typically a documented plan that identifies the problem, goals, and the team members’ roles and responsiblilities. The purpose of the charter is to provide the PIP team with key information that will allow them to have a clear understanding of what they are being asked to do. The charter helps a team stay focused by setting timelines and displaying milestones. Note that the charter does not tell the team how to complete the work; rather, it tells them what they are trying to accomplish. Chartering can help teams get off to a good start, avoid misunderstandings, and gain organizational support. How do you regularly ask for feedback from residents and families? 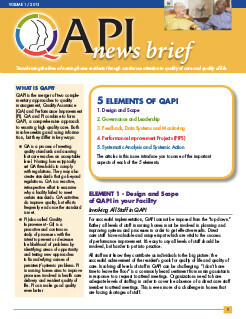 Remember that QAPI Element 3—Feedback, Data Systems, and Monitoring—requires that some of your data are derived from feedback from residents and families. Do you investigate resident and family complaints and generate action plans if validated? How do you create a climate where residents and families are comfortable raising issues? Do you address the concerns raised in resident and family council? Do you have, or would you consider having a resident and/ or family member on your Quality steering committee? 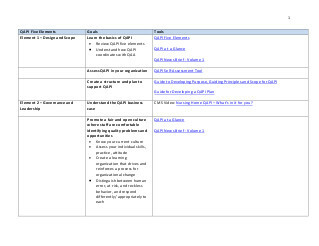 Support staff in being effective PIP team members. Use tools that support effective teamwork.